Pammy Blogs Beauty has downsized her makeup collection! Pammy has re-vamped her storage and is thrilled to have some empty drawers and a smaller and more manageable collection. 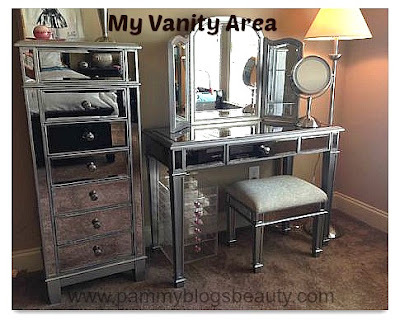 She went from a huge lingerie chest of makeup, plus a clear cube, plus a vanity table to what? Find out what her current storage looks like now!